This photo will appear next to your name in search and messages when communicating with dog owners. 1. Navigate to your profile by selecting your name and then Profile. 2. 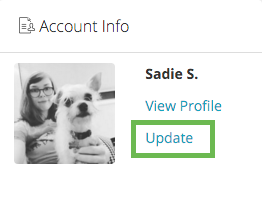 Locate the Account Info section and select Update. 3. Select Upload Your Photo and choose a photo. 4. 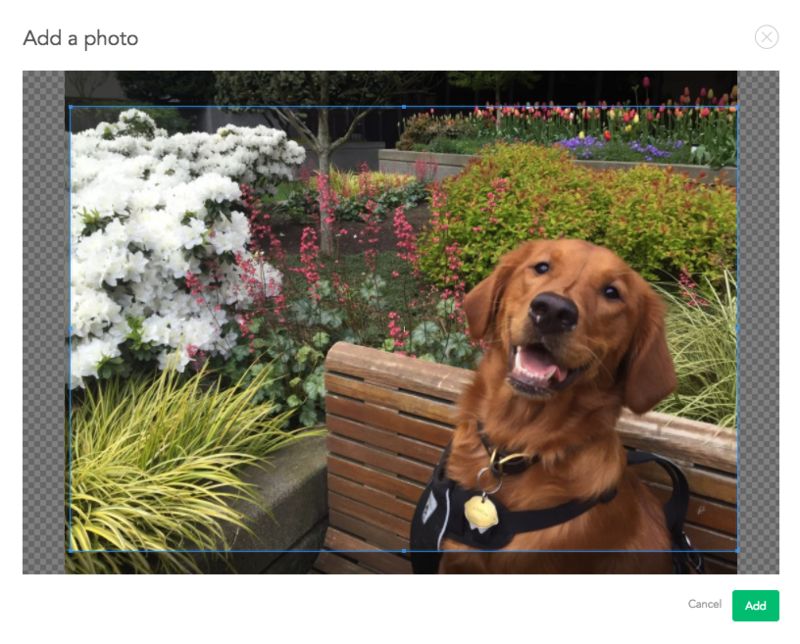 A pop-up window will prompt you to crop your photo as needed. Select Add. 5. Scroll down and select Save & Continue. You’re all set! 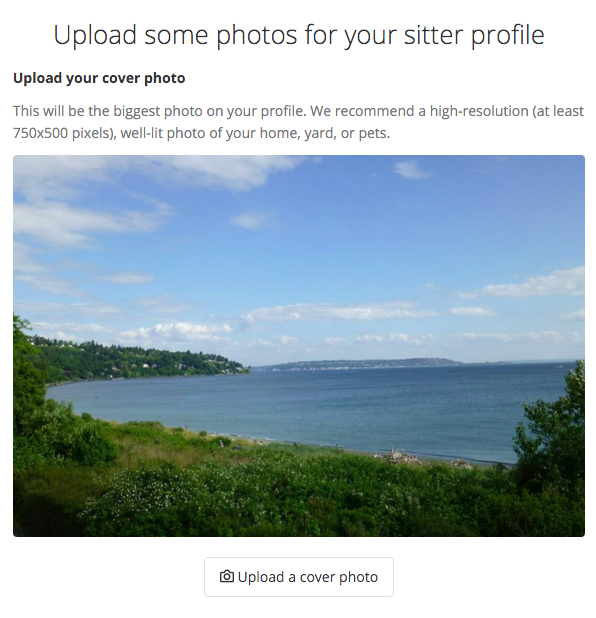 The cover photo is the largest photo on your profile. 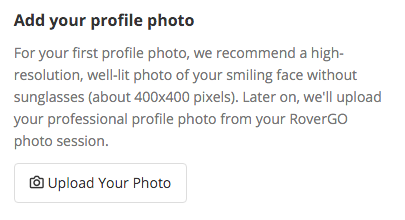 We recommend a high-resolution (at least 750x500 pixels), well-lit photo of your smiling face or home. Additional photos give dog owners a sense of who you are and how you’ll care for their pet. 2. 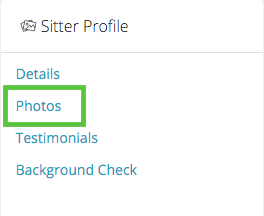 Locate the Sitter Profile section and select Photos. 3. Select Upload a cover photo. 6. 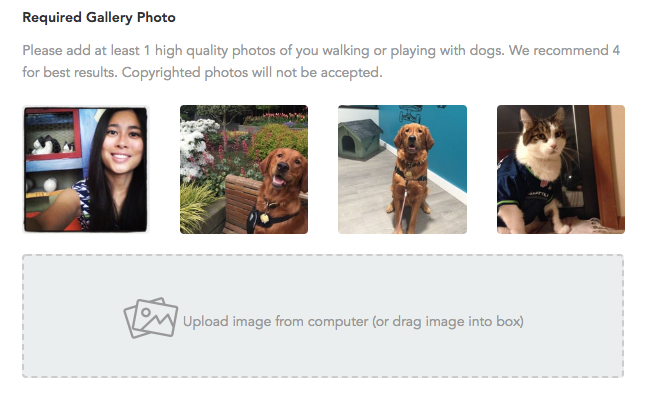 Select Upload image from computer and choose a photo. 7. Once the photo has loaded, select Save & Continue. You’re all set! 3. Scroll down to Required Gallery Photo. 5. Once your photos are all arranged, select Save & Continue. You’re all set! 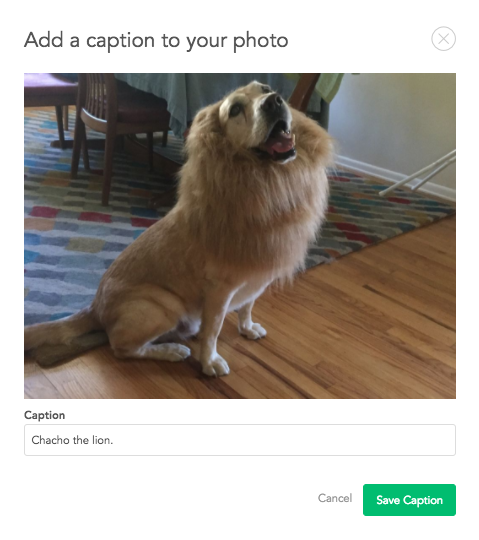 You can tell dog owners about your photos by adding captions. 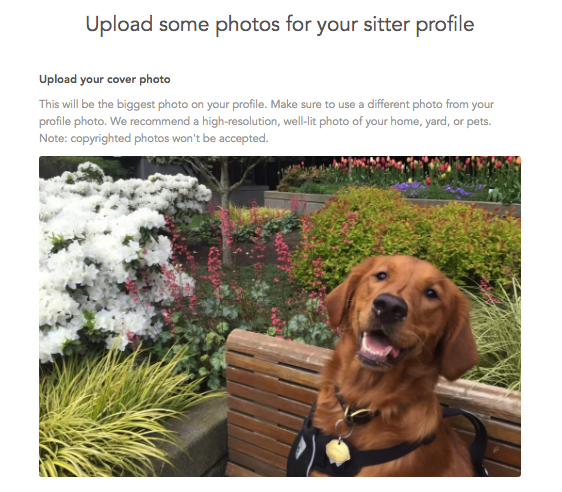 Rover Tip: Keep captions short, positive, and friendly to make a good impression on dog owners. 4. Hover your cursor over a photo and select the pencil icon when it appears. 5. 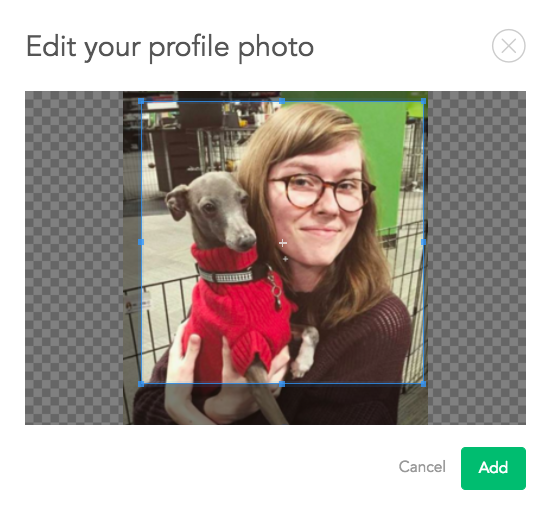 A pop-up window will display your photo and a spot to type in a caption. Write your caption and select Save Caption. You’re all set! 4. Hover your cursor over a photo and select the trash bin icon when it appears. 5. A pop-up window will ask, “Are you sure you want to delete this image?” Select OK. You’re all set!